Earlier this year, RadioShack declared bankruptcy after years of declining sales and failed attempts to rebound. Besides selling physical locations, trademarks and other inventory, the company is also selling off 65 million names and physical addresses in addition to 13 million email addresses - personal data that could be greatly valuable to a top bidder. 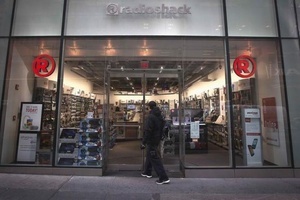 Reportedly, RadioShack's largest creditor, Standard General, has won the bid for the assets including the personal data but a judge still has to approve the purchase and there is a chance that the data could be a problem in trying to close the auction. Among those challenging the purchase are the Texas and Tennessee attorney generals and major carrier AT&T, who previously partnered with RadioShack to market phones and does not want data of its customers getting into the hands of a rival carrier. The fact any company would do this is absolutely despicable! Rot in hell Radio Shack! Your doors need to be closed. when i was working at Circuit City we had to purge all user information from our systems. the law must have changed in the last 7 year, besides the fact that this is even legal should be of more concern. Tend to agree it's not good if the customers names are not going to be used other than what they were originally meant for (i wonder what legalese was on any papers that were signed & if it included what's happened that names could be transferred),unless another buyer intended to open a similar style store/s.